Registration now open (see below). 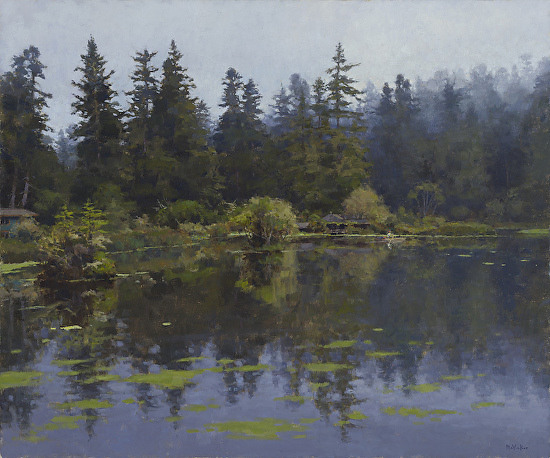 Once again, the Morris Graves Foundation is extremely honored to have guest artist Jim McVicker return to the Lake for his 7th annual painting Workshop Retreat for 3 full days of intensive instruction. 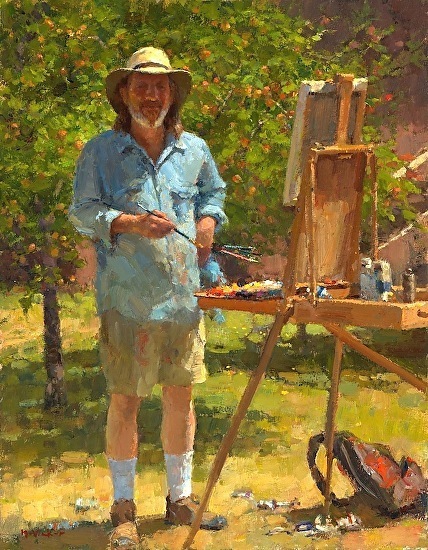 Jim was Plein Air Magazines’s 2015 “Plein Air Salon Competition Grand Prize” winner. His kind, thorough, and thoughtful demeanor is a gift to students; each learns specific paintings methods, and receives technique guidance. Students leave on Sunday brimming with encouragement, and take home practical, specific approaches to achieving their paintings goals. The workshop is held at the MORRIS GRAVES FOUNDATION private retreat estate where 150 acres of forested pristine land encompass a 300-year old lake, surrounded by a myriad of evocative natural settings. Pond lilies, natural bonsai islands, mysterious inlets, and reflected light offer endless, beguiling subjects for study. Balance of $400 must be postmarked on or before August 1, 2019. Workshop fee will be refunded only if the Morris Graves Foundation or Jim McVicker cancels the workshop. Specific workshop details, itinerary, and materials list will be sent to registered students. Driving instructions will be sent, as needed, to paid-in-full students. Device Policy: According to Mr. Graves’ personal views, this private and intimate retreat has been established without allowing the use of cell phones, cameras, iPods, or any recording or electronic devices. Thank you so much. We look forward to meeting you! Overnight group accommodations are unavailable at the retreat. A list of local hotels and motels is available by request. All amenities are available in Eureka, 20 minutes north. Most amenities are available in Ferndale, 15 minutes west. Limited amenities are available elsewhere – please inquire. Jim McVicker’s reputation for realism, capturing light, and personal interpretation precede him. As an experienced instructor, he is a natural: he is thorough, encouraging, and thoughtful. He spends copious amounts of quality time demonstrating techniques live on the canvas, within a variety of settings. He visits and coaches each participant on-site around the estate with techniques as each painter prefers. 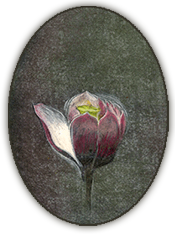 “Upon seeing 19th century French landscape paintings, I had an awakening to art. The beauty and sensitivity I saw in those works changed my perception of the world. At the age of 21, I started studying art history as well as painted copies of French impressionist landscapes, and enrolled in life drawing and painting classes at Chaffey Community College. In 1975, at the age of 24, I decided to become a full-time painter. I moved from Onario, in southern California where I was raised, to the northern part of the state, settling in to Eureka after a year. I was drawn to the natural beauty, the art community, and the chance to live a quieter and more rural life. I met several very accomplished artists, and worked with them on location painting landscapes, or in the studio, always painting from live models or still-life set ups. I learned to paint from directly observing nature, by studying great art from the past, and from working alongside artists more developed than myself. In 1984, I met my wife and fellow artist, Terry Oats. We live a wonderful life in Loleta, California, a small rural town just south of Eureka. We have our studios on our property, and continue to paint daily in the studio, or on location.